New Acer Iconia Tab B1-730 Tablet Digitizer Touch Screen Glass 7"
Home → Tablet Parts → Acer Iconia Tab B1-730 Tablet Digitizer Touch Screen Glass 7"
Acer Iconia Tab B1-730 Tablet Digitizer Touch Screen Glass 7"
Description: New Acer replacement black digitizer touch screen glass, 7". This is not the actual screen. This is the glass on top of the screen that reacts to touch. 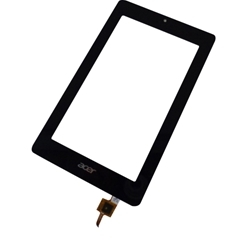 **This digitizer is for the B1-730 tablet only. This part will not work if your tablet is the B1-730HD version.